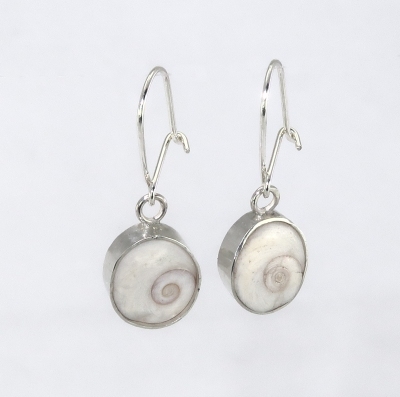 My client provided the stones for this pair of earrings. 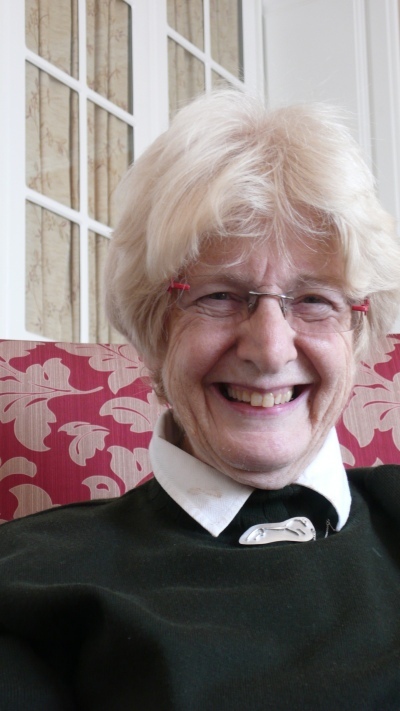 They are small – no more than a centimetre high. 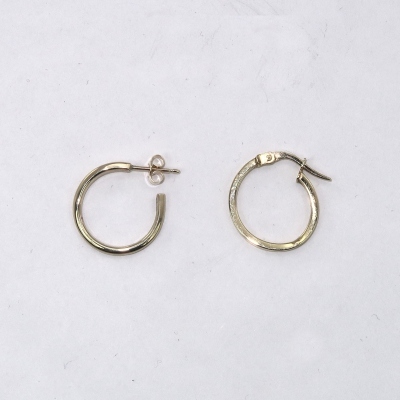 The brief was a simple setting with secure ear wires. The client and recipient are delighted with the result. 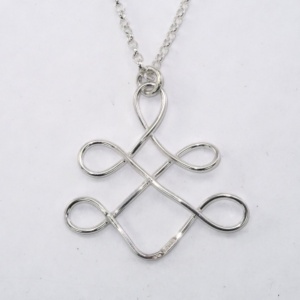 There’s something extra about a gift that where the giver has provided strong input to the design. 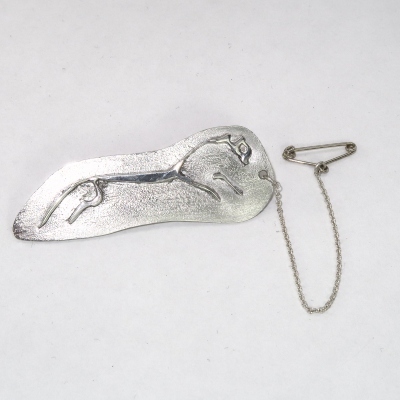 This brooch is about 6cm long and has a steel pin on the rear with a pin protector. It ws something of an experiment in embossing patterns by rolling. Tp get this result an oak leaf was rolled between two sheets of annealed copper. The leaf was then sulphided to enhance the detail and then a very thin gold plate was applied. I intend to let the copper border tarnish naturally – we shall see what it looks like in time. 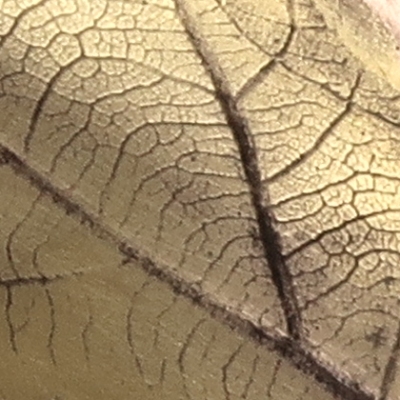 The picture below is an enlargement of the embossing to show the fine detail of the leaf in the copper. 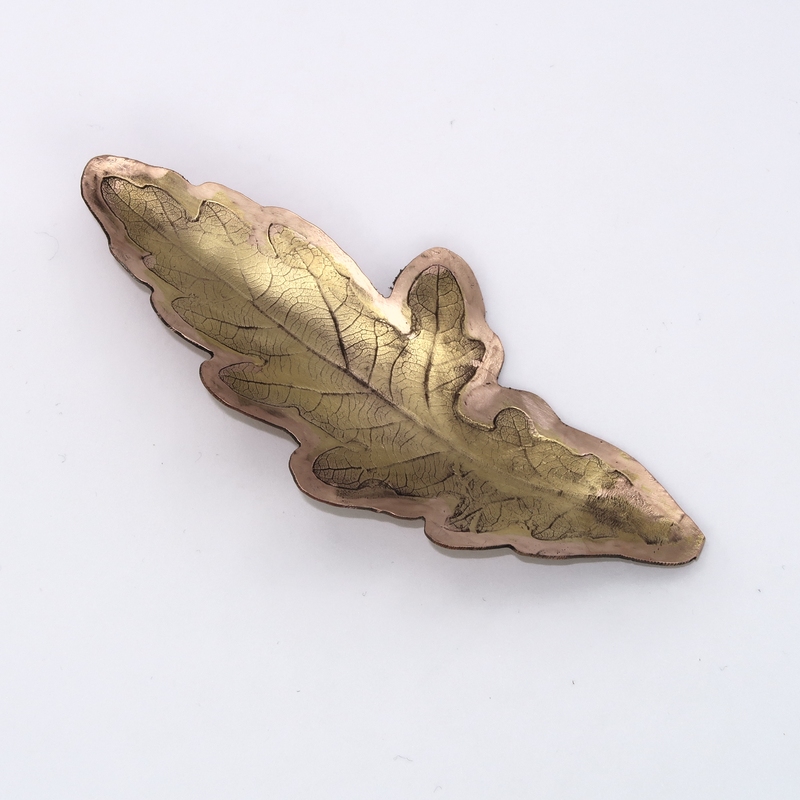 Each brooch will be unique as, although there may be a mirror image available, the leaf is destroyed during the process. 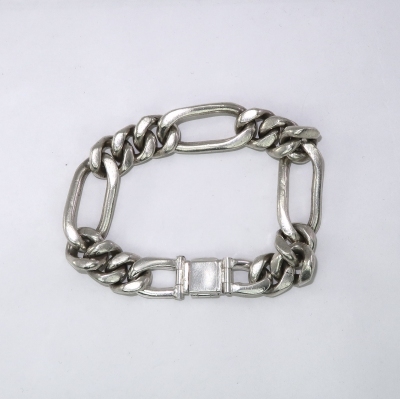 A three strand, twisted and rolled bracelet that is closed, but adjustable. 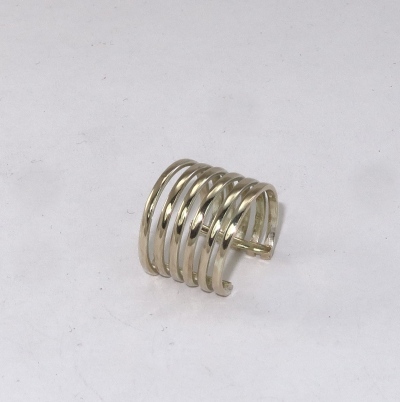 It has heavier gauge wire than I normally use, at the client’s request, to make it a substantial piece of silver jewellery. 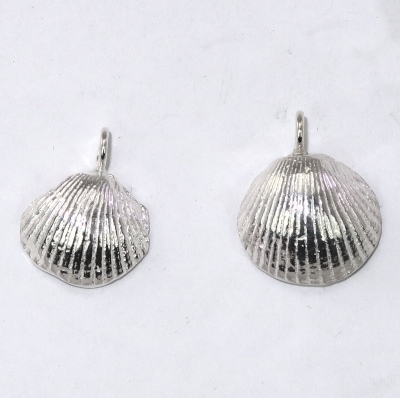 These are small pendants 1.5-2 cm – solid silver and full hallmarked, though they are below the minimum requirements. They were cast from a shell found by the client. 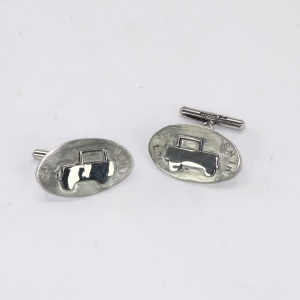 This set of cufflinks were a special and thoughtful presents to three brothers. The clients selected and sourced the coins. 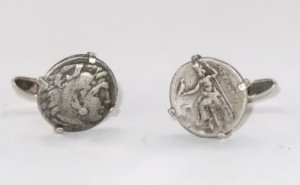 They are from the reigns of Caracalla, Trajan, Philip, Alexander, Valerian and Gordian. 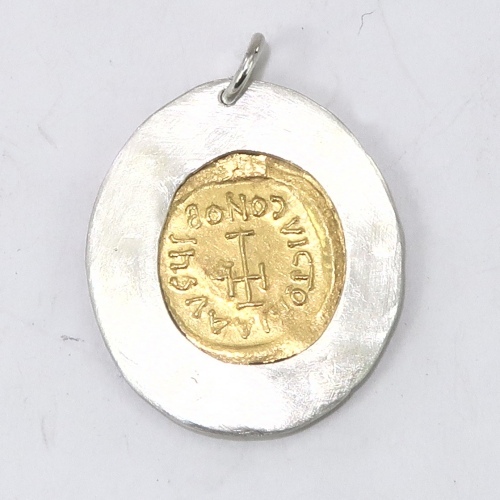 The support for the coins are domed so that both sides can be examined. 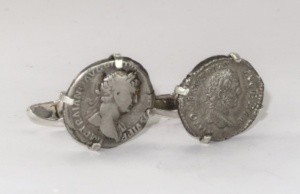 The mounts hold the coins securely but non destructively. 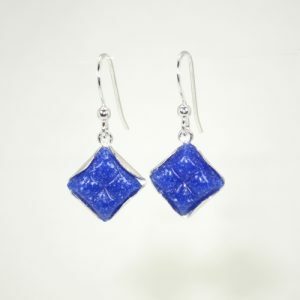 These blue mosaic tessera based earrings have been very popular. The story behind them is here. A year or so back, I bought a pack of other colours. This is the sample sheet. Now to add increased flexibility, I have made stud mounts for the tessera and why not other materials? The rght hand side below has some paua shell I cut to size. Wikipedia has just told me that paua is the New Zealand name, abalone the US name and ormer the UK name for the same genus. I have some stock, but contact me with your choice. 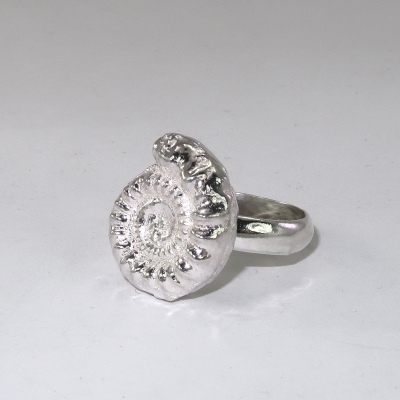 This style of ring is made to measure and can be made with any of my available ammonites. 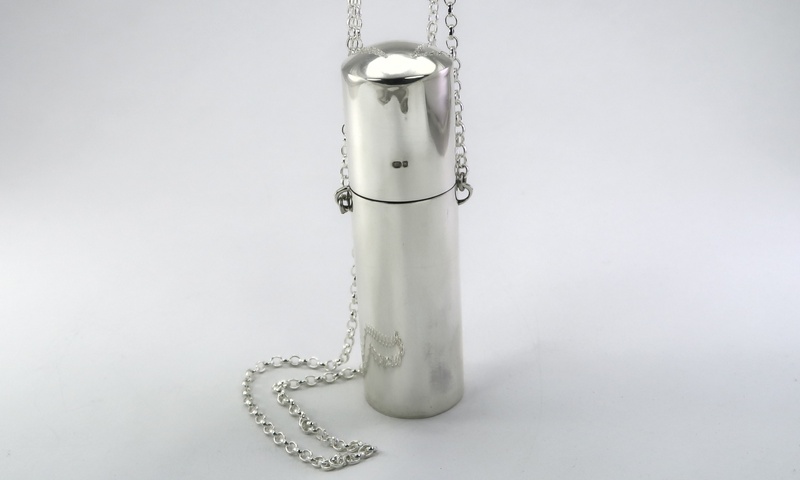 Or indeed other objects you may wish to have immortalised in silver. 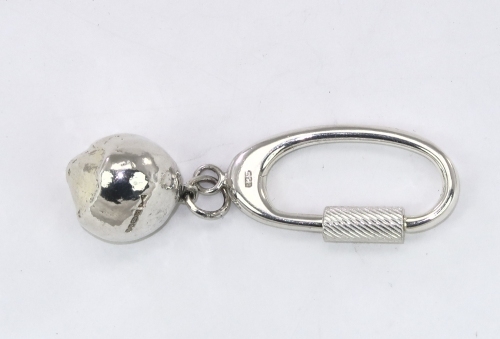 The key fob of this key ring is cast from a bolt from a bicycle that has special memories for the recipient. 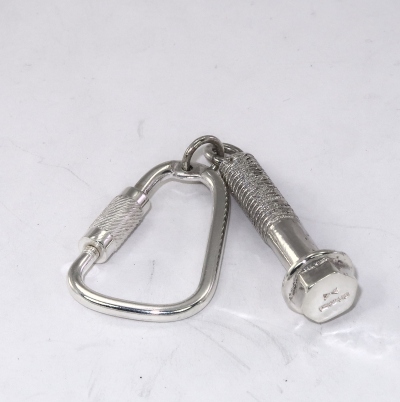 The fob is hallmarked on the head of the bolt. This is an example of the commissioned work I undertake where there is a memory or other connection between the giver and the recipient There is also the pleasure of giving (and for me making) a present that will last many, many years. 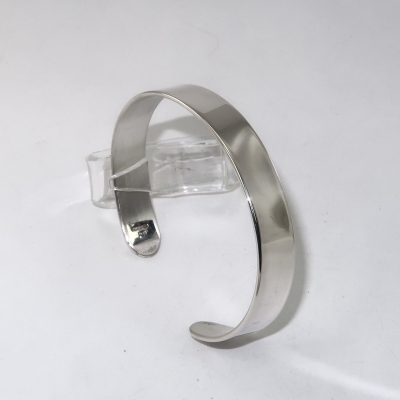 The silver cuff I made earlier in the year was very well received and so I was asked to make a gold version. 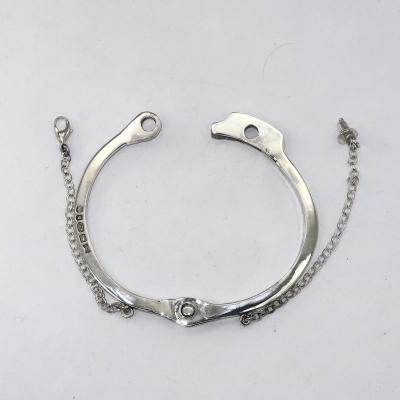 Fortunately, and unusually for me, I kept detailled instructions, so the two cuffs are pretty much identical. 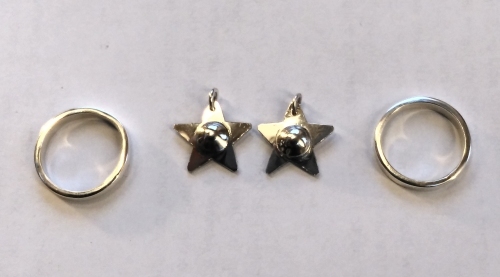 The partner of the earring on the right disappeared and I was asked to make an earring to match it. The owner was happy with a standard pin and butterfy fitting. It isn’t perhaps obvious from the picture but the tube is square section and I could only buy round tube. The solution is to pull the tube through a square drawplate several times to convert the profile. The match was good. 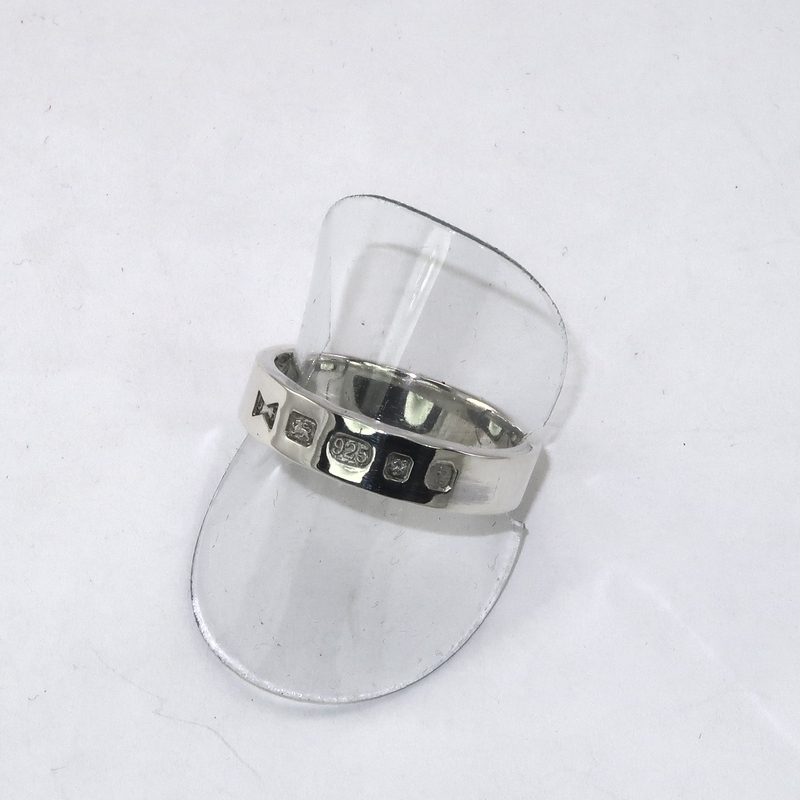 Normally ring hallmarks are on the inside of a ring, requiring a special ‘swan-necked’ punch, but I was asked to produce one with the hallmarks on the outside. 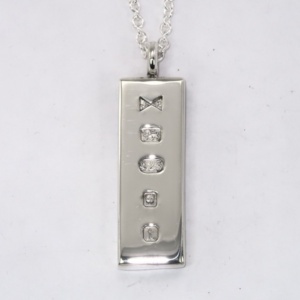 Here the London Assay Office have applied ‘display’ marks that are deep and durable. I’ve also been able to employ one of my slightly larger straight punches. 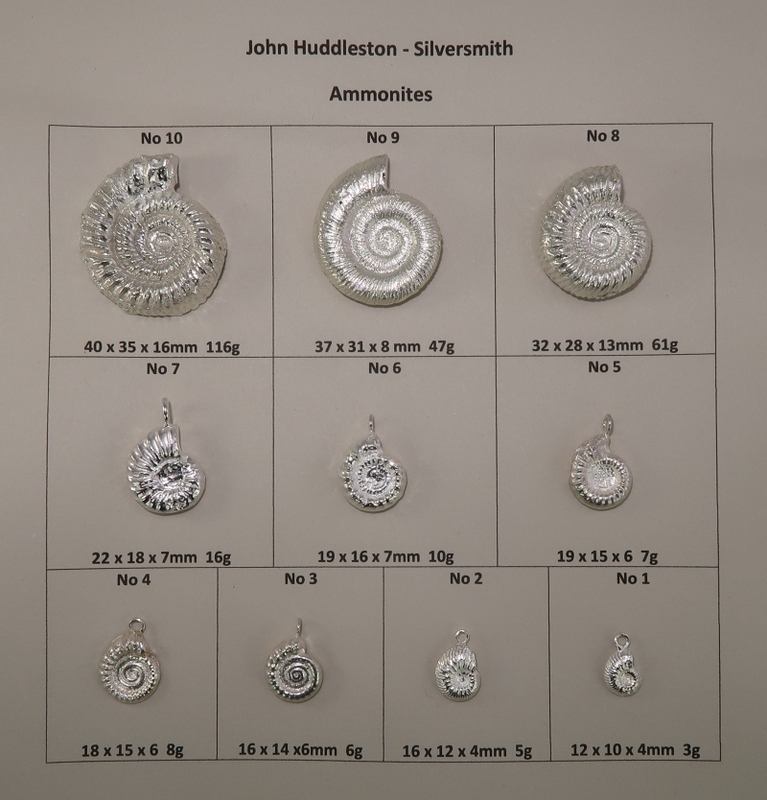 Following my event at St Hilda’s College in September, I have now updated my website with my expanded range of ammonite jewellery and ornaments. I have also added estoiles (stars with wiggly rays). 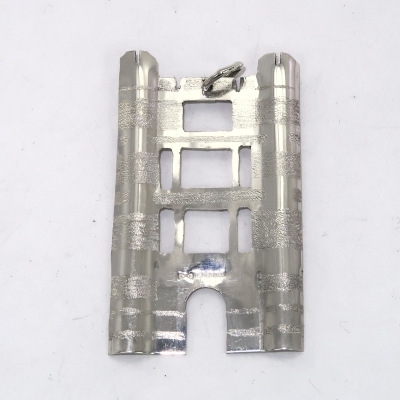 One of the knuckles on the hinge of the clasp had torn through completely and the others were showing serious wear. 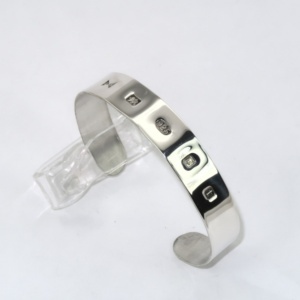 It’s a really heavy bracelt and buts a lot of strain on the hinges. They were originally thin-walled tube, but I’ve replaced them with proper thick-walled hinge tube. The hinges should last for years and years now. 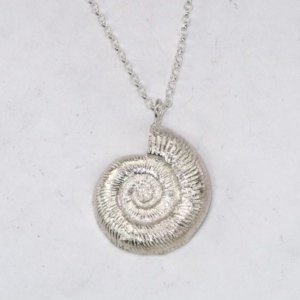 I’ve been casting solid silver ammonites for years – brooches, pendants, earrings, charms, rings, paperweights – and have a collection of fossils to cast from. However, I got myself into a complete muddle with descriptions of the various sizes, so I’ve developed a cunning plan. 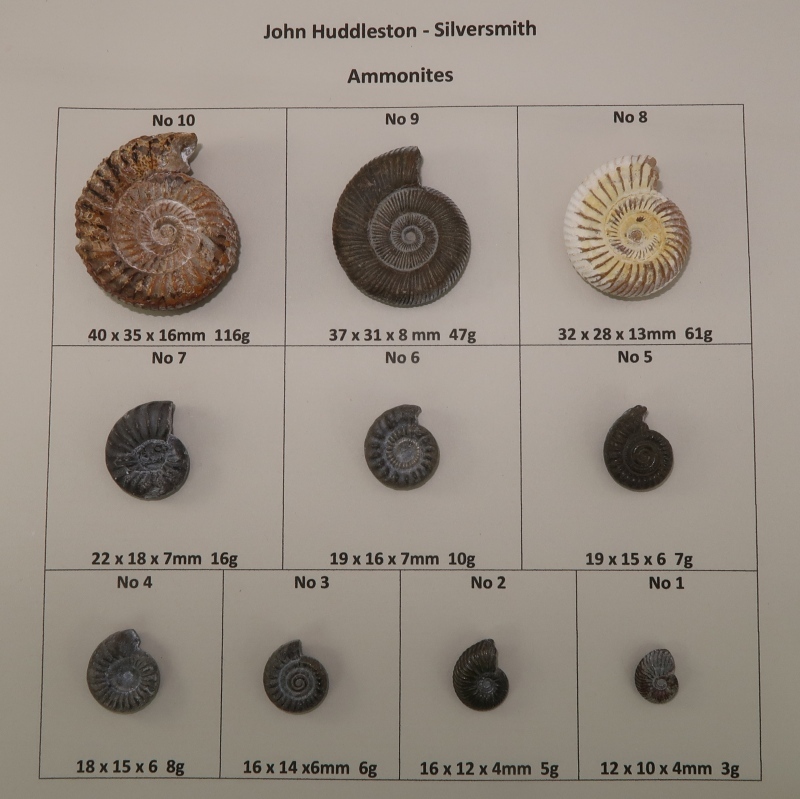 All my fossil ammonites now have a number and I’ve added the number to the description. Below you can see images of the fossils and their silver equivalents. I’ve added approximate sizes and approximate weights of the silver pieces. Hopefully this will make it easier when you order from my shop as I will be relisting all the brooches, cufflinks, pendants and rings with their ‘size number’. 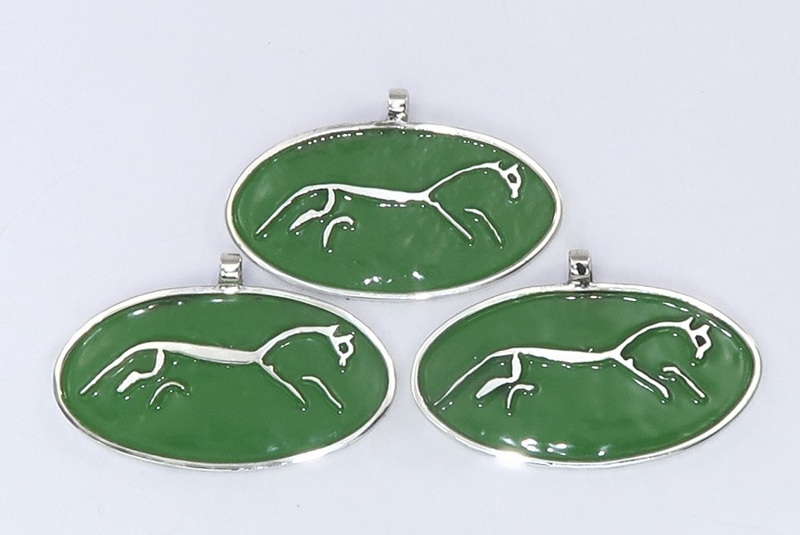 My pendants of the White Horse near Uffington, Oxfordshire are described earlier in this blog. 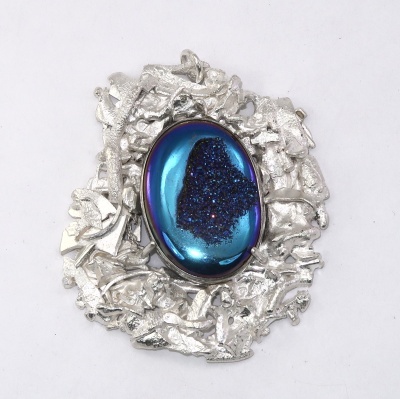 I haven’t previously made a brooch – perhaps an obvious omission. Anyway I’ve done one now. The owner is very pleased with it. 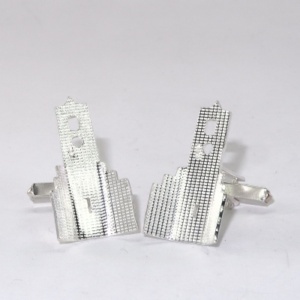 These are just over an inch (2.8cm) long excluding the clip. Available from my web shop shortly. Hand forks or one of each are also options. 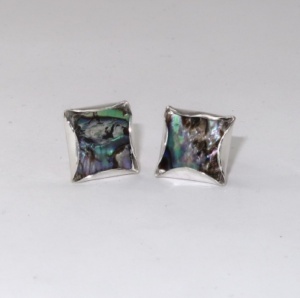 A new departure for me – I’m made plenty of earrings, including replacing lost ones, but a cuff is a first for me. This cuff fits between the outer ear and the inner lobe. 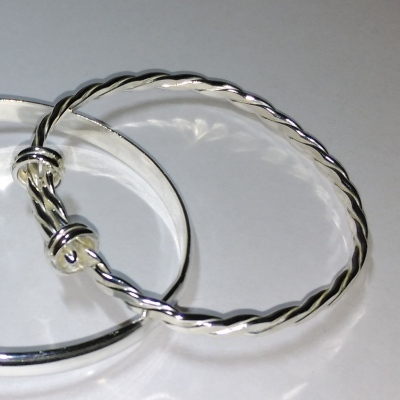 The client wanted something plain, but a little heavier and thicker than my normal bracelets. 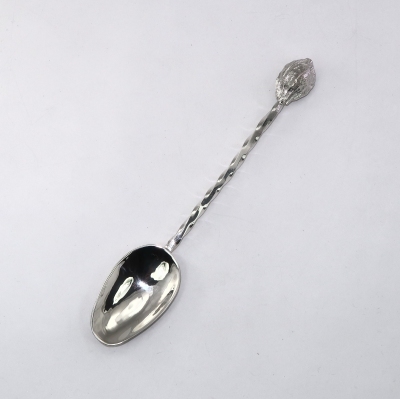 Bright shiny on the outside and satin inside – fully hallmarked. Not one of my more demanding jobs, but something not readily obtainable. 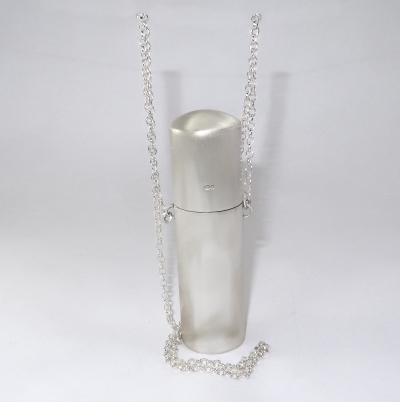 Unfortunately, my client has to carry an aerosol spray in case of medical emergency. Between us we came up with a design for a holder on a chain. 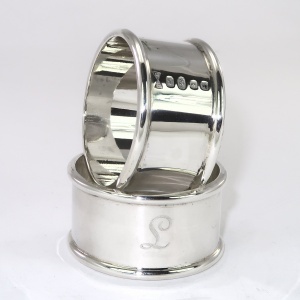 The tube is about 30mm in diameter and weighs over 100g. It was in use within minutes of it arriving! The main hallmarks are on the base with part marks on the friction fit lid. 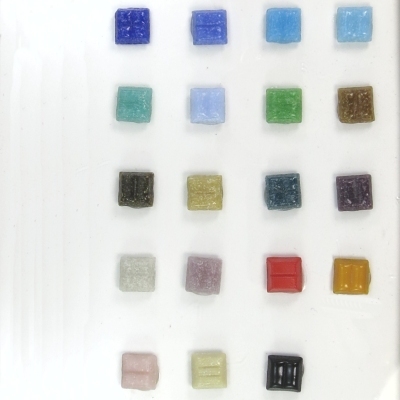 A client had a beautiful window blue druzy that was not at its best in its previous setting. 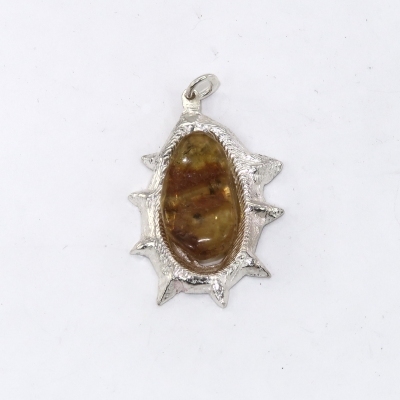 I created one of my unique fused silver surrounds for the druzy. It now looks spectacular. My client was delighted and couldn’t wait to try it on. 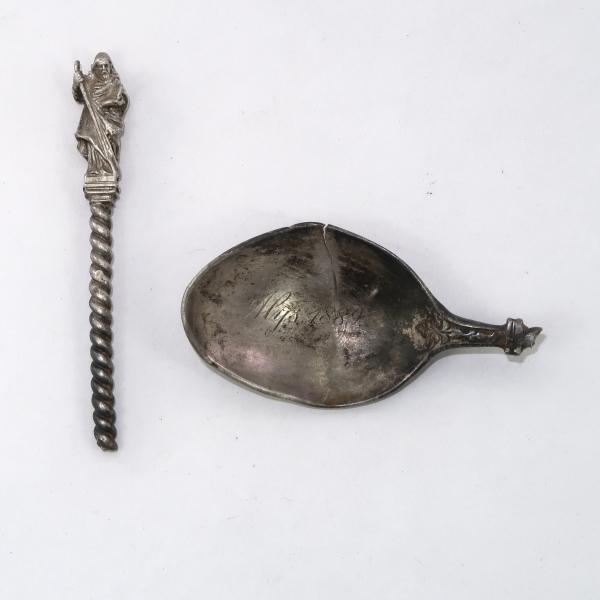 This apostle spoon was found in a local garden with the aid of a metal detector. I was asked to repair it. 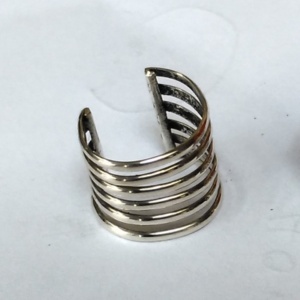 The process of cleaning up after hard soldering up the bowl and stem removed all the tarnish. After a good clean, this is the result. 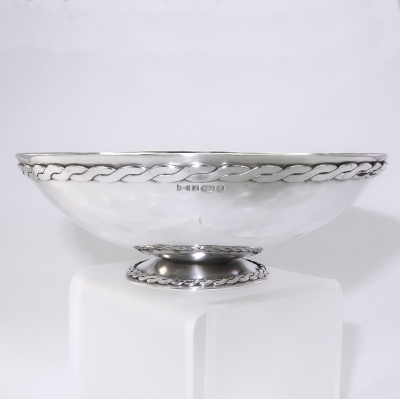 This bowl is 120cm across and is made from fine silver. 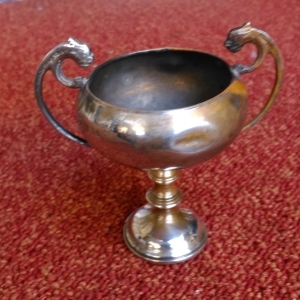 It was commissioned as a silver wedding present and it has an inscription engraved on the opposite side to the hallmarks. The hallmarks themselves are interesting in that in addition to the 999 mark, the piece has also been given the Britannia mark. 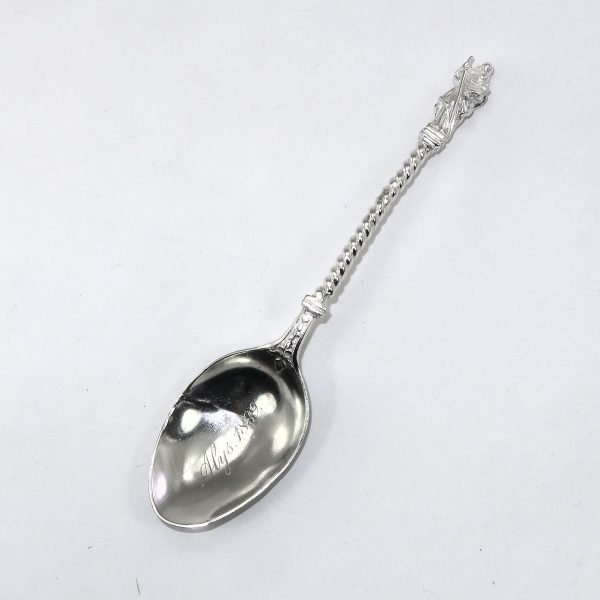 Britannia fineness is 958 parts silver per 1000, so it clearly exceeds that. 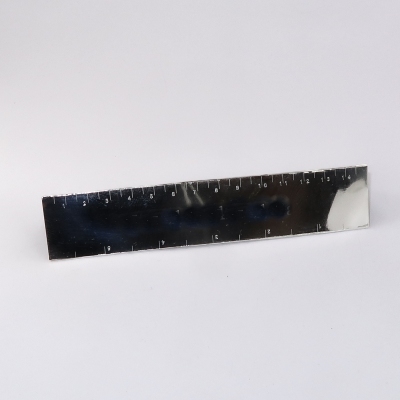 A triangular six inch engineers ruler. An interesting exercise and more of a challenge than I anticipated. The front face has the recipient’s name, but I’ve removed that for this post. I designed all the engraving, but it was machine engraved locally. As with other pictures, it’s difficult to get the lighting right! If I do something like this again, I will make the sides slightly concave. 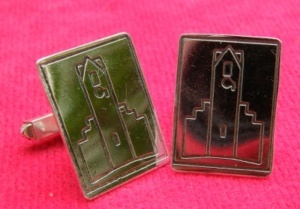 Evry few years, I’ve been asked to make a pair of cufflinks inspired by the Radley College Clock Tower. These have been leaving presents for members of staff whose room overlooked the Clock Tower. The 2009 and 2015 versions were etched, but this time I wanted to try something different and more three dimensional. 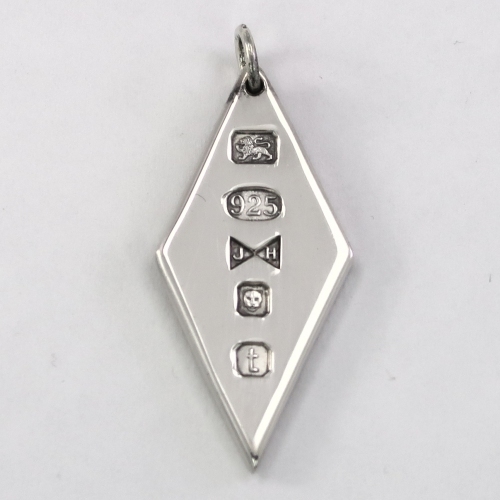 I’ve also made a pendant in the 2018 style. It’s about 5cm high. 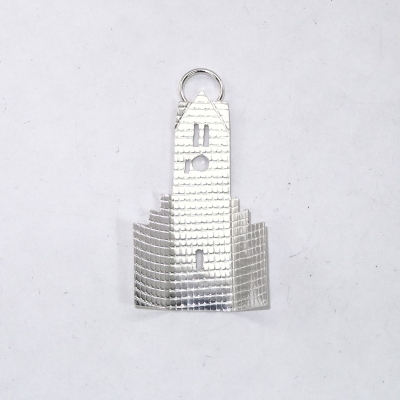 As a leaving present for a member of staff, I was asked to make a pendant based on Croomes Tower. My interpretation is about 5cm tall, the real thing – below – must be about 10 metres. Scaling down that much required some compromises on the level of detail. I had the assay marks placed over the door in lieu of an inscription. 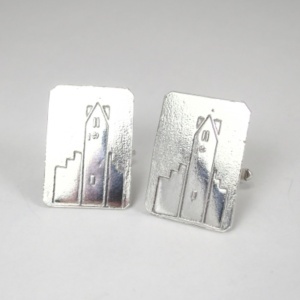 I’ve just added a range of new items onto my shop website. Many of them are featured earlier in this blog. 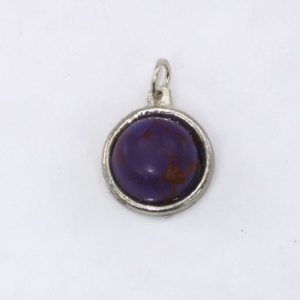 I have made links from the blog posts to the shop. These are all described in posts below. These were a special order as a gift. Though the ingot looks much the same as my other ingots, it is slightly larger and thicker so that it is twice the weight of my normal ingots. Following the development of the yantra pendant posted earlier, I have now made some more full sized pendants in both silver and copper. No one yantra is quite the same! 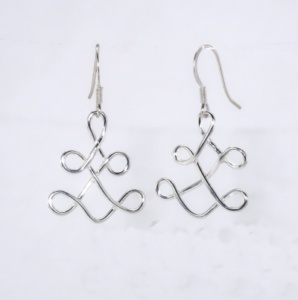 The silver pendant is hallmarked, but the earrings are not. Please contact me if you would like to buy from this range. they are available now and will be on my website later in the year. 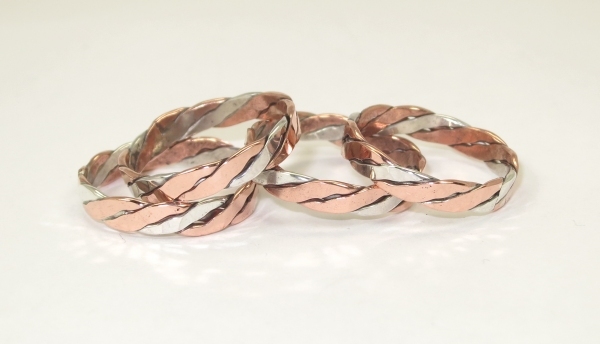 Please note copper rings are not mentioned in the official NHS Nice guidelines for osteoarthritis management. I make no claims whatsoever. 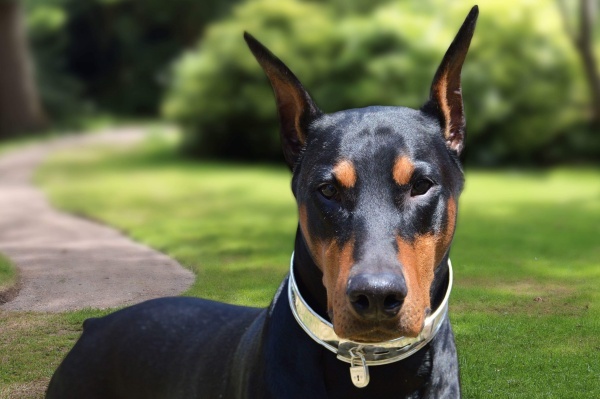 This latest collar improves on the previous solid version by having a hinge to make it easier to fit. Also, of the three ‘ sizing ‘ slots, only the outer was to be used, which simplified the design. 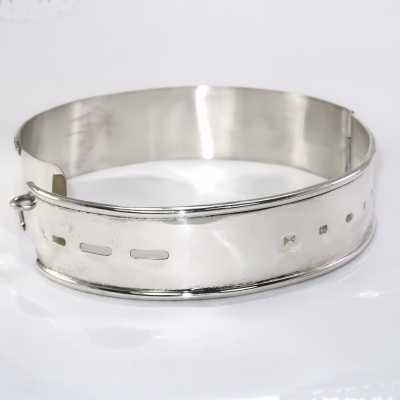 The collar has a perimeter of 38 cm and weighs over 200g. The padlock is a Tiffany one – I haven’t attempted one yet. The engraving was done by Sam James Ltd.
Not one of my best photos and the ring wasn’t finished at this point, but this is ring is a present for someone for whom the Orion Nebula is special. I’ve just completed two 1:1 sessions showing how I cast using delft clay and cuttlefish. This was spread over two sessions doing delft clay first, though with the benefit of hindsight, it would have been better to do cuttlefish first. Prepaing a cuttlefish mould is easier which gives more time to introduce the actual melting and pouring part. We followed the same format as the basic class – I do a stage, the student does their stage and so on. My delft clay castings are on the left and the student’s on the right. The bee is a little bigger than the ammonites. This is a cuttlefish cast once finished and the amber stone mounted. 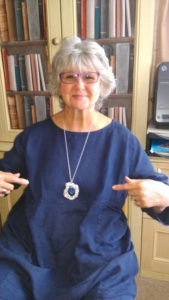 ‘I had the pleasure of 2 casting lessons with John, delft clay and cuttlefish. I had the best learning experience. Prior to lesson John advised me on equipment etc so I could set up at home. Hands on, informative and very inspiring. In 4 hours Johns vast knowledge and experience had taught me enough to go home and recreate, which I have been,non stop! Not much else to say – a commission. Thick silver sheet for durability. The panther is about 5cm toe to tail. 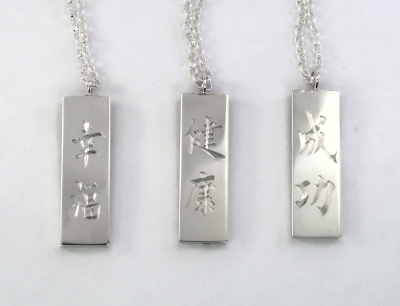 A set of three ingots with ideograms engraved – health, happiness and success. They were required for a special birthday early in 2018. To avoid stress, the engraving was done in 2017 (not by me!) 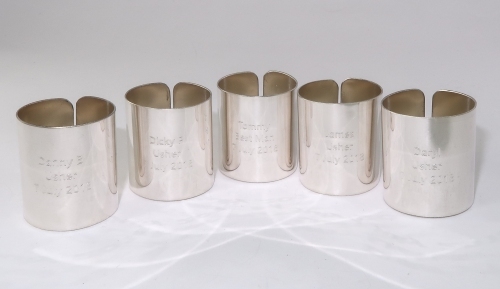 and the assay done in 2018 so that the date letter was correct. 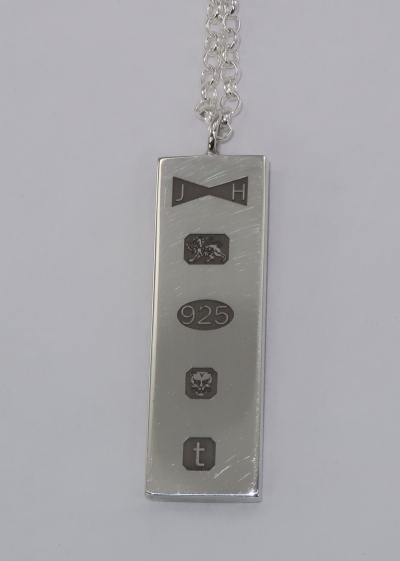 However a normal stamped hallmark could damage the ideograms so they were laser hallmarked. They have extra depth to ensure longevity. 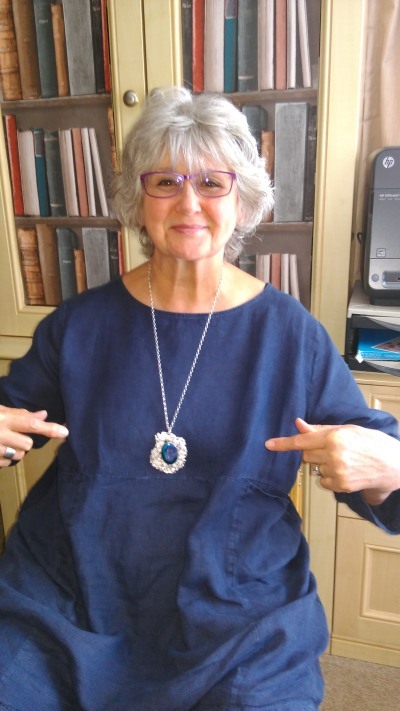 Thank you so much for the beautifully finished necklaces I commissioned from you. You took time to understand what I was asking for and suggested how this could be created. 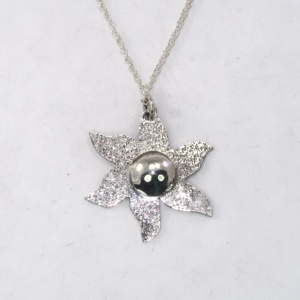 The necklaces are wonderful. I am really finding it hard to find a description that does them justice. Thank you. I’m ocasionally asked whether I work in gold. The answer is yes – but only on request. Here are two recent examples. 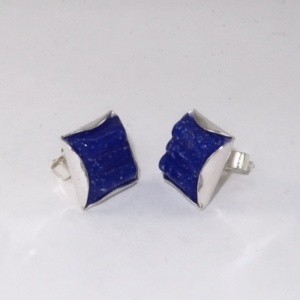 The earrings are about 20mm in diameter. 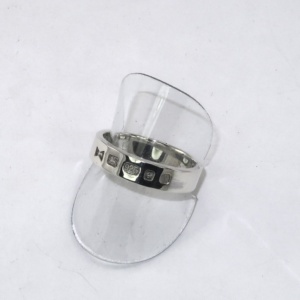 The ring was made to complement a similar silver ring. I decided to make a lozenge or diamond shape this year rather than my normal rectangular shape. 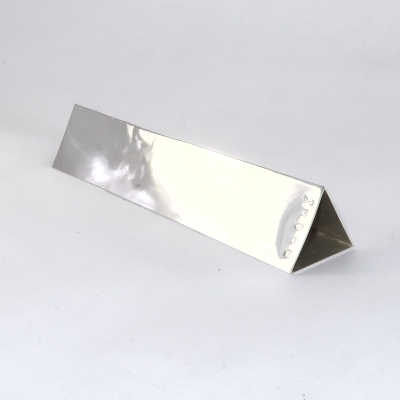 I have one available from my shop, but otherwise 2018 ingots – of whatever shape is required – can be made on request. 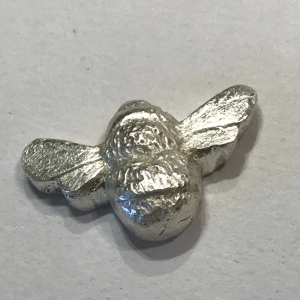 Today, I ran a day course for two friends who wanted to learn the basics of working with silver. 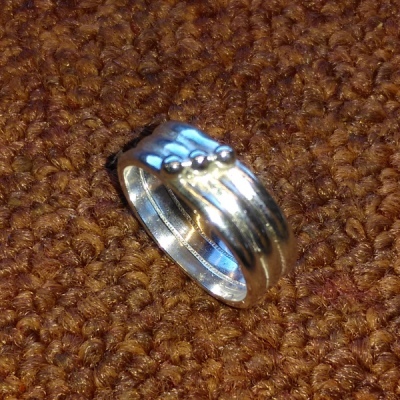 In the morning I went through the stages of making a silver ring – we made one each. In the afternoon, the two friends made motifs to go on a bracelet. We made up the design over lunchtime and implemented it in the afternoon. 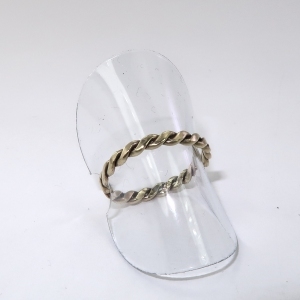 They experienced soldering, using the piercing saw, doming, and polishing and learnt about the metal, assay and various other tools and techniques. Not much more to be said. A minimalist design giving full emphasis to the coins themselves. I think the coins are Chinese. Such an obvious omission from my range. This was a request, but it will be in my shop shortly after I have cast some more hazelnuts. I understand this design is a very much simplified form of a thai tiger tattoo. It has a certain pleasing symmetry and simplicity. 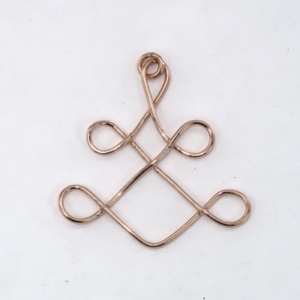 The client and I discussed various permutations after I made a few copper test pieces – adding gemstones in the loops or having the shape on a backing sheet forming a further geometric shape, but we decided embellishments would not complement the basic shape. Silver and copper versions are available in my shop here. 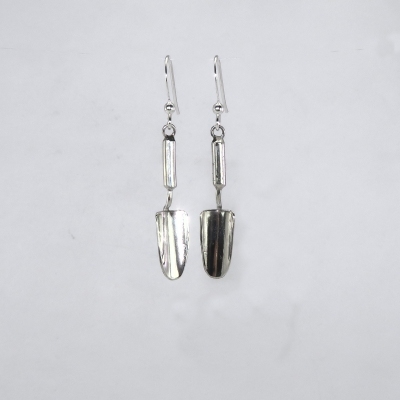 Silver earrings are in my shop here. The White Horses in this variant are the same size as the earlier pendant, but in this commission they were requested to be on a green background. Each horse is in a silver oval with the edge about the same height as the horse. The green, low temperature enamel provides the required colour, but only as a relatively thin layer so that the horse stands proud of the enamel – a reversal of the real thing where the white chalk layer is slightly below ground level (if I remember correctly). 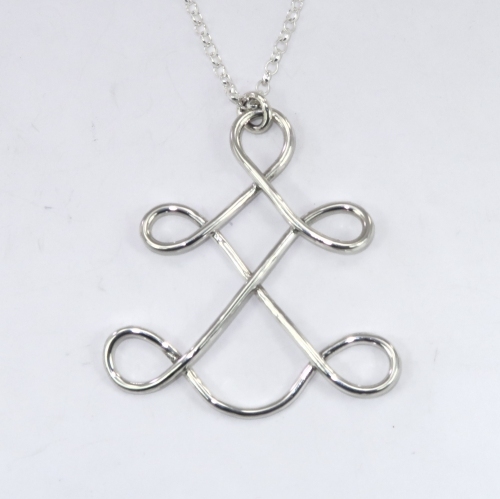 These pendants are Christmas gifts from a mother to three daughters. As ever when I make multiples, as each was hand cut separately, they have minor differences. 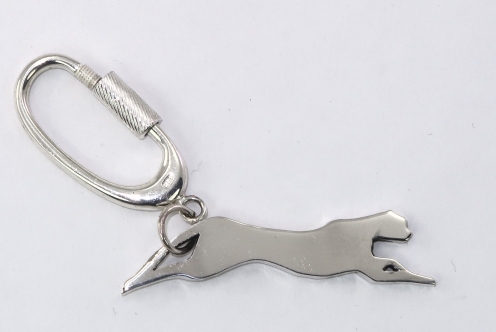 Jewellery and other siilverware based on the Uffington White Horse is available in my shop here. 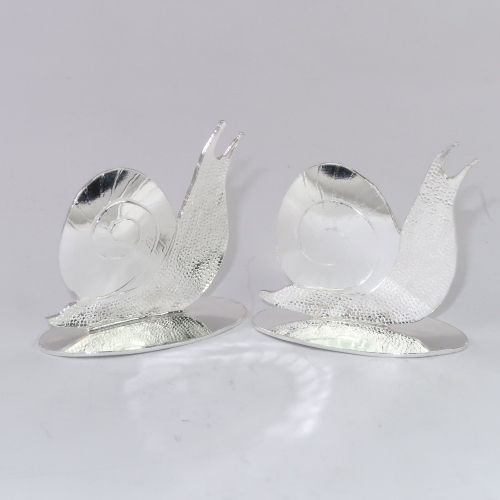 Recalling a private joke between a mother and two daughters, I was asked to make a pair of snails as ornaments. I’ve made frogs, ducks, cats and dogs so why not! They remind me of Brian on ‘The Magic Roundabout’. They are about 45mm wide. 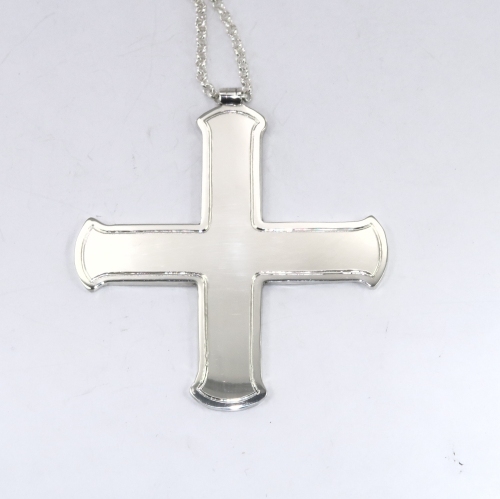 This is my second pectoral cross – this time for Abbot Thomas of Mucknell Abbey. Mucknell Abbey is home to a Benedictine community of men and women within the Church of England. 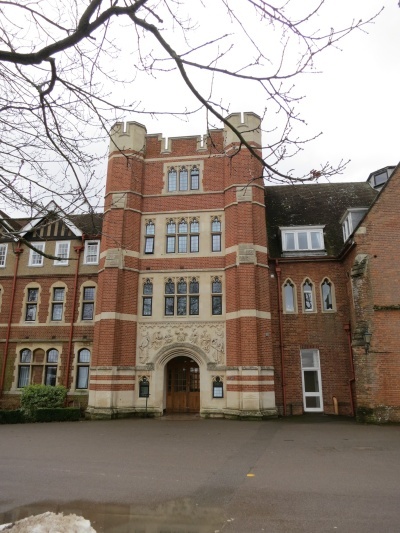 Abbot Thomas had a clear idea of what he wanted and we worked together to finalise the design. The hand engraved groove was contracted out as this isn’t a skill I am comfortable with. The cross is about 70 cm wide and weighs about 50g. 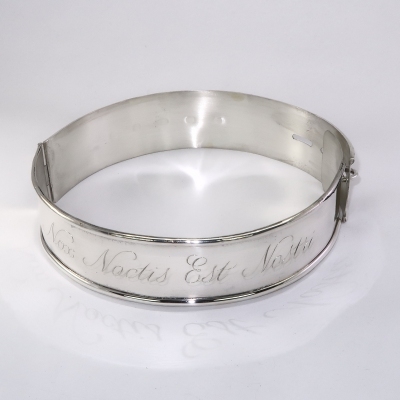 It is hallmarked on the rear. 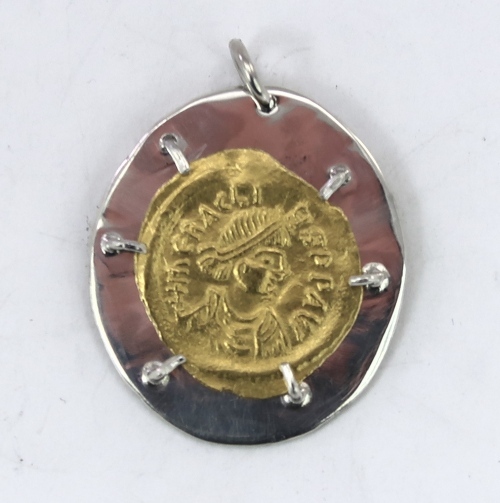 This beautiful Roman coin stamped from gold sheet is in excellent condition. 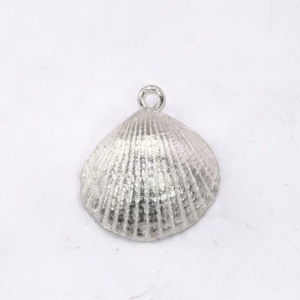 The sheet was probably hammered out from a small ball, hence its irregular shape. 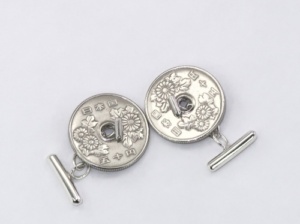 Though the die and punch are round, the sheet was not then trimmed after stamping. The mount I made for it is simple, so not as detract from the coin and is completely non destructive. The coin is gently pinched in place. 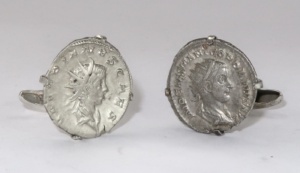 A window in the back of the mount gives a good view of the reverse of the coin. These cufflinks are a gift to the owner of ‘Wild Thing’ – a modified landrover used for off road competitions. I’m quite pleased with this repair. There was a similar dint on the opposite side that came out well too. It had been neglected and took a lot to bring the inside back to a shine. 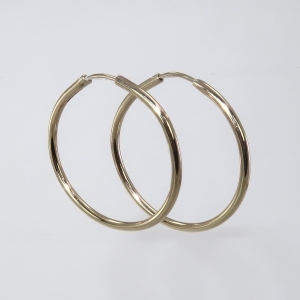 This pair of rings are probably twice the weight of the commercial equivalents. 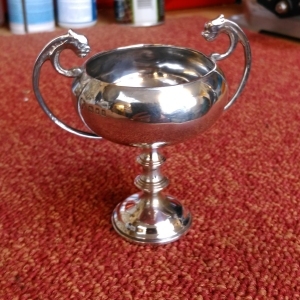 I know a man who does the engraving – letter, size and font as chosen by the client.